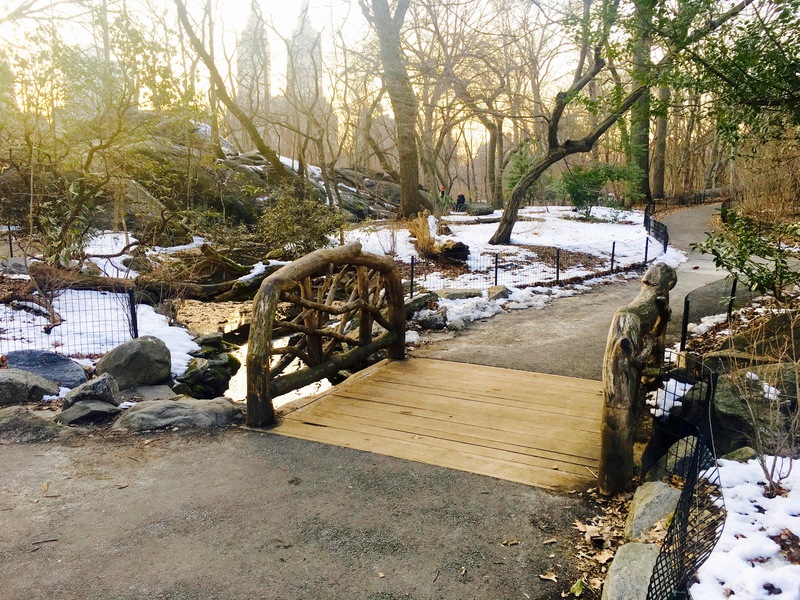 Central Park is a wonderland of beautiful bridges. At least 36 bridges and arches wind through the park, allowing pedestrians to discover all the landscapes Frederick Law Olmsted and Calvert Vaux put into their 1850s Greensward plan. On a recent visit, I think I may have come across the smallest bridge in the park. This lilliputian rustic wood span is part of a footpath through the Ramble, the wooded area surrounding the Lake. If it has a name, I couldn’t find it. But it crosses Azalea Pond, according to the Central Park Conservatory. 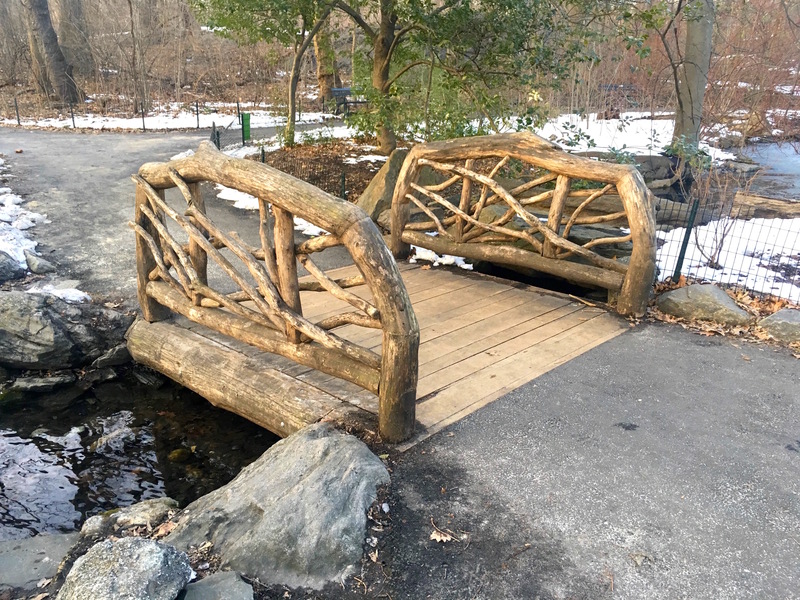 Though it’s “newly constructed,” it appears to be an homage to Central Park’s co-designers, who succeeded in recreating the serenity of nature in the industrial, bustling city.